With over 17 years in the yachting industry, Benjamin has experience ranging from mobile satellite communication, Iridium and Inmarsat, to marine satellite TVRO and VSAT systems, SeaTel, Intellian, KVH and KNS. During his 4 years with Intellian, Benjamin held several positions, from Field Engineer to Sales Manager, for Florida and the Caribbean. He brings a lot of sales experience and technical knowledge about Intellian, VSAT, TVRO and FBB products. 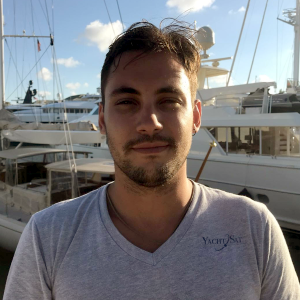 The original owner of UST-Marine, Benjamin spent 3 years as a Field Engineer traveling between the Mediterranean and St. Maarten to cover the yachting seasons. Benjamin and Craig founded YachtSat in 2017. 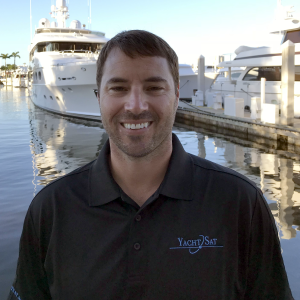 Craig Stolarz brings nearly 15 years of experience in the maritime industry to YachtSat as a Senior VSAT Field Engineer and Co-Founder. Craig began his career with MTN as a Field Technician before eventually becoming the Technical Manager of the yachting division. Craig went on to own and operate Maritime Antenna Solutions where he has demonstrated his extensive technical knowledge of VSAT and TVRO antennas for the past 6 years. Craig holds an associate’s degree in Computers and Electronics Engineering from ITT Tech and is a veteran of the US Marine Corps. 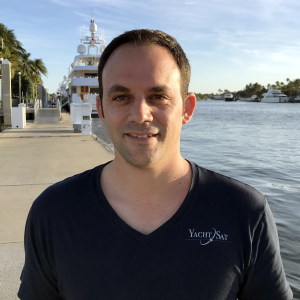 Involved in the Marine Industry since a young age and after spending the last 8 years as a sales manager in the VIP boating industry, Jeremy is ready to take it to the next level by joining YachtSat and provide his professional savoir faire to the Yachting Industry. He has lived in the French Riviera, the Caribbean and the US to study Communication and International Business, which allowed him to better understand the importance of providing the best service possible, in the most professional way and sometimes on the same day. In 2018, YachtSat opened YachtSat SXM, its second office in the Caribbean, on the island of Saint-Martin / Sint Maarten. Jeremy overlooks the operation of YachtSat SXM and his main objective is to make sure our customers experience during their visit on the island, will be equal if not better then anywhere else they cruise in the world. Tyler is a Field Engineer with YachtSat where he provides the utmost professional technical services for Superyachts and Cruise Liners. Tyler has worked for established companies within the yachting industry, including MTN and SeaTel. As a Field Service Technician at SeaTel for 6 years, Tyler was responsible for testing and repairs, partner training, customer relations and special projects; including corporate and military, trade shows and office management. 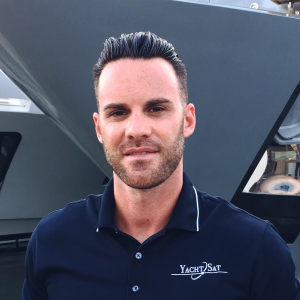 Tyler’s experience in the maritime satellite communications industry has led him to taking the next step in becoming an integral part of the YachtSat team.